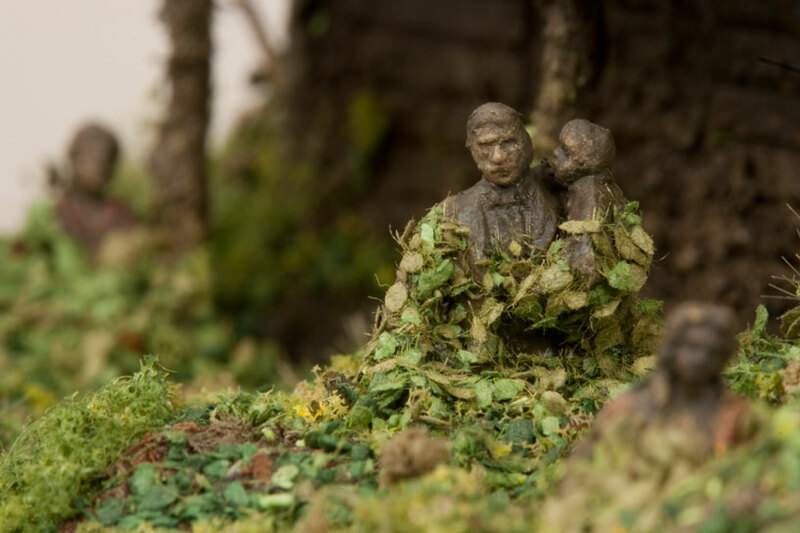 adrien broom, thomas doyle, and patrick jacobs, three new york-based artists known for their small-scale, artificial environments and scenes will exhibit ‘dream no small dreams‘ at the ronchini gallery in london. the hand-built, alternative realities are presented through a range of mediums and methods: dioramas, models, sculptures, and photographs. putting reality and humanity under a microscope, the three artists invite viewers into the meticulously fabricated, poetic environments they craft. 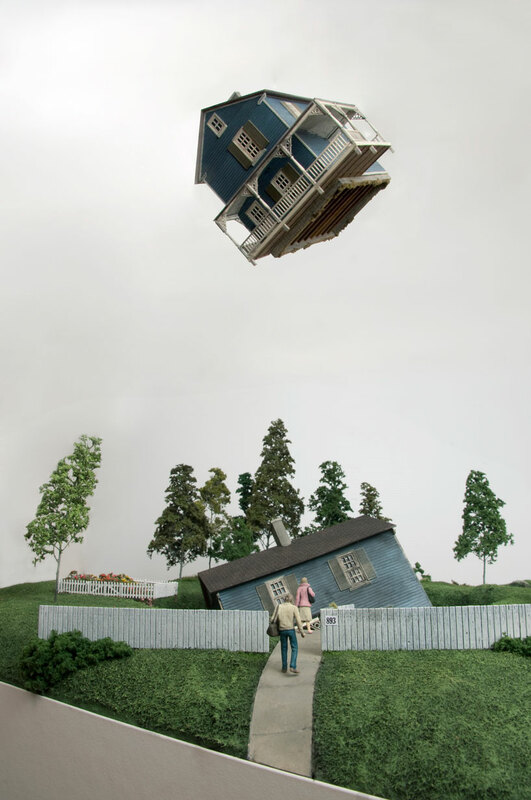 doyle’s carefully sculpted scenes typically depict traditional american homes struck by disaster or some kind of apocalyptic chaos, plummeting into sinkholes or submerged under water. 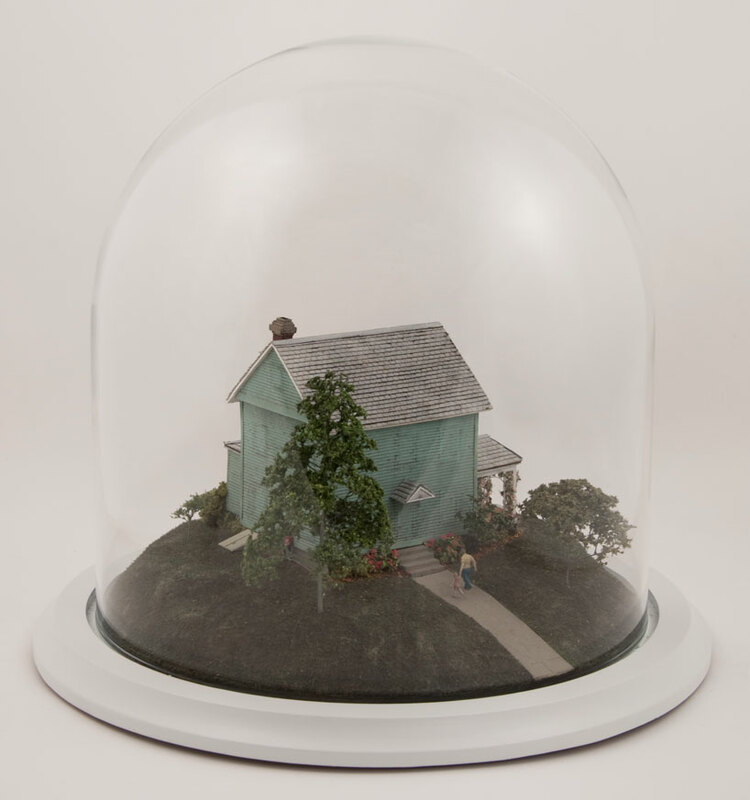 the tragic worlds are encased in glass domes, sealed away from the audience, metaphorically questioning whether the suburban homestead is as safe as we believe it to be. the small-scale figures seem unfazed as they surround themselves in the devastation, capturing a haunting sense of emotional absence. 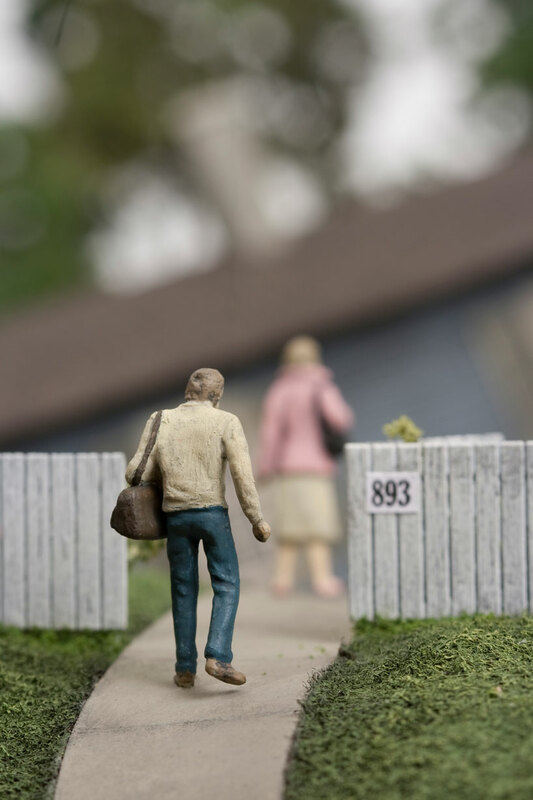 tiny hyper-realistic environments embedded into gallery walls are characteristic of patrick jacobs’ work. 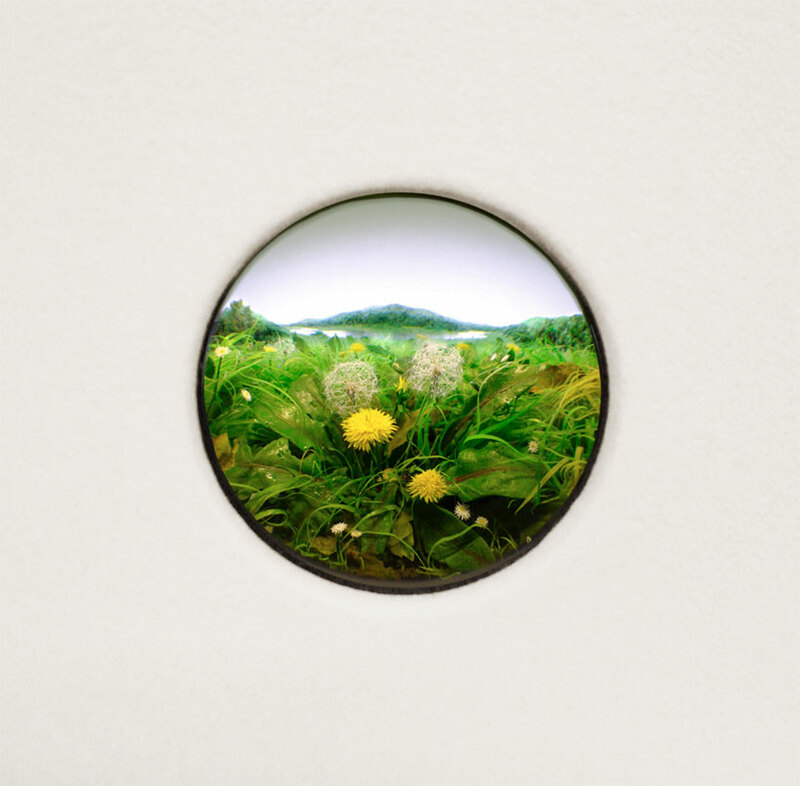 these landscapes are viewed through glass portholes, which the visitor is invited to peer into. while surveying the small worlds he has created, audiences discover details hidden within the arranged flowers and green expanses. 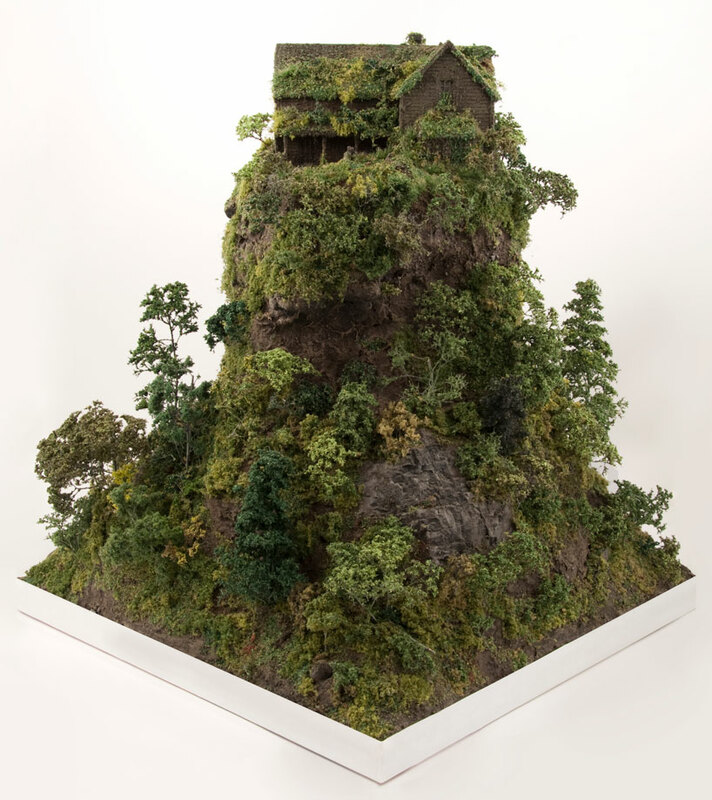 jacobs works with materials like paper, plastic, acrylic gel and metal in the construction of the nature-based dioramas. 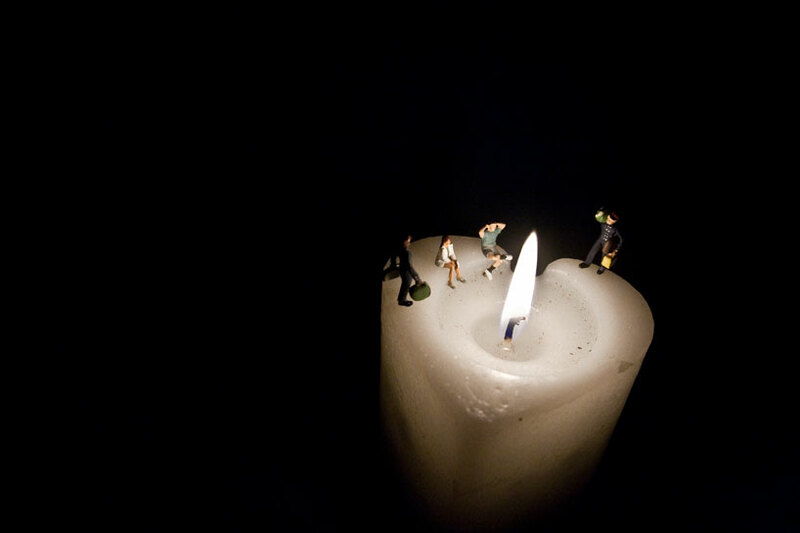 the pieces become private and personal, providing each viewer with an isolated look at the alternate reality. broom photographs her tiny, imagined landscapes in the series ‘frames of mind’. the images are conceived through the construction of miniature sets and, with a cinematic approach, she creates optical illusions that blur the line between reality and fantasy. 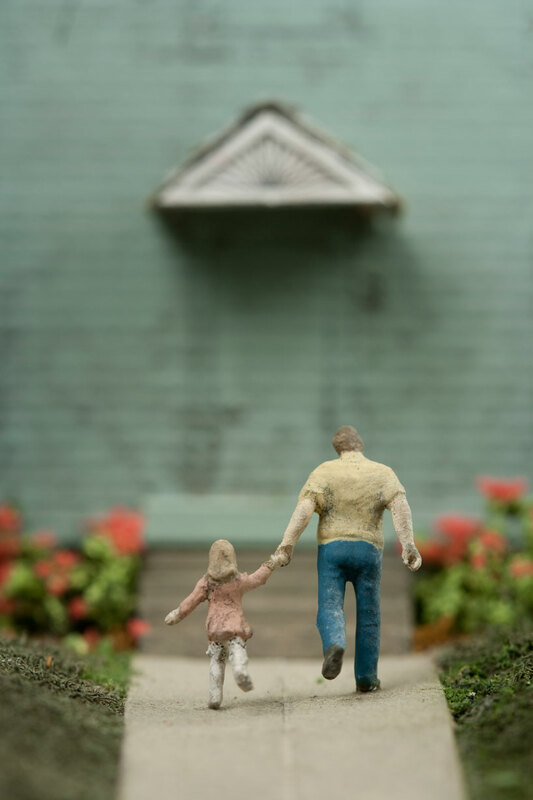 the small scenes exhibit personal narratives, which explore themes of childhood, loss and the anxiety of modern life.